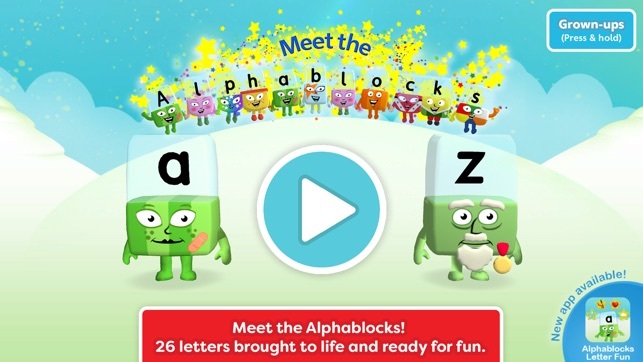 Meet the Alphablocks, get to know your alphabet and letter sounds and sing along to the Alphablocks song. 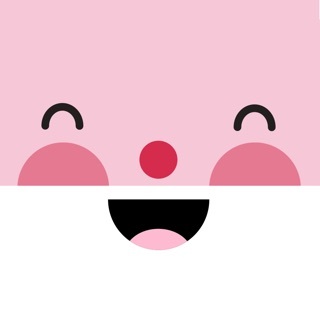 Alphablocks is the hit TV show that’s helping millions of children learn to read the fun way. (British English). It couldn’t be simpler: tap to bring each Alphablock to life and hear them sing their letter sound and a line from the Alphablocks song. Every Alphablock is designed to help your child remember their letters and letter sounds, so A says a! when an apple falls on her head, and so on. Listen to the Alphablocks singing their letter sounds, then change to Letter Name mode and have fun learning all the letter names too. 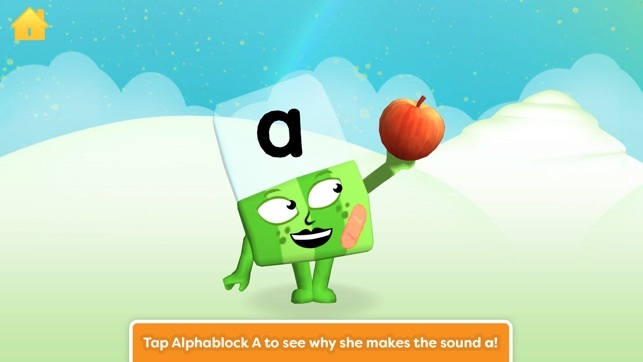 Alphablocks uses best-practice phonics as taught in UK schools. 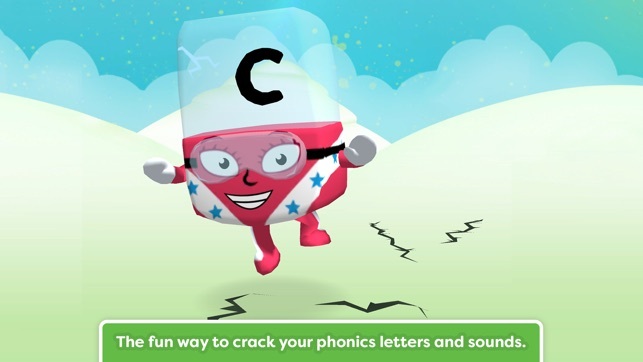 It’s also part of a whole reading system that can give your child a boost in key phonics skills. 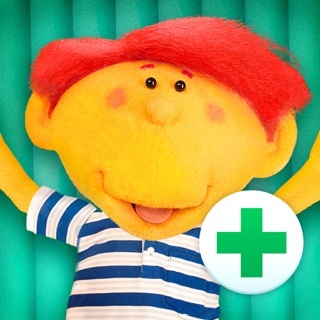 Watch Alphablocks on CBeebies and find out more at www.alphablocks.tv. If you enjoy this app, try ALPHABLOCKS LETTER FUN and really get to know the Alphablocks and the alphabet. 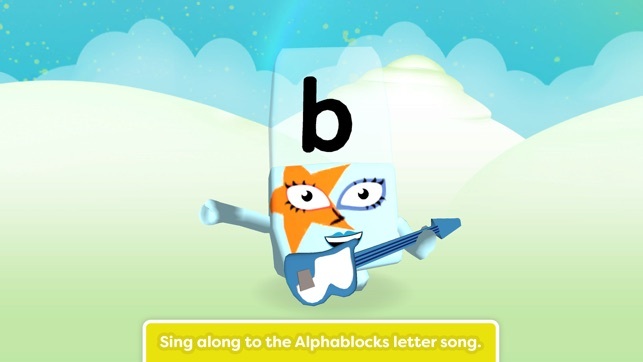 Letter Fun has four minigames for each Alphablock (more than 100 total) to help your child master their letters and sounds, and they can sing along to the whole Alphablocks letter song. It's good for letter sounds a-z but it's such a shame that it doesn't do digraphs and other more complex sounds. 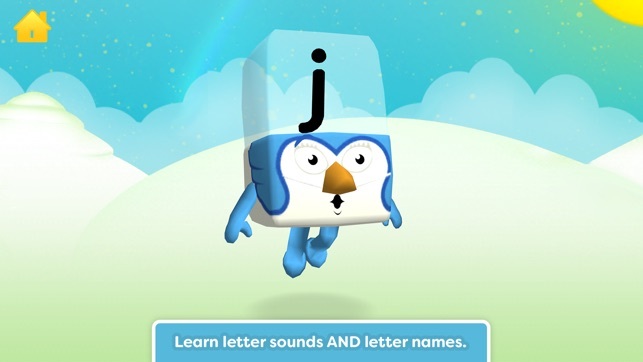 Said it could give phonics a boost but this is very basic.. Would be much better if it helped with the more complex speed sounds such as 'qu' like the app boasts in the apps store images. Look forward to a better version.